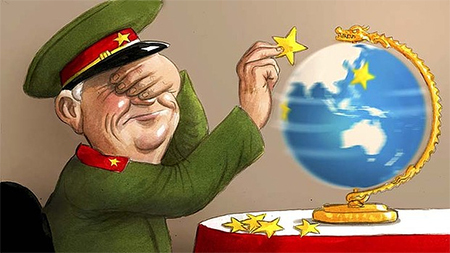 With international risk managers looking at Russia’s war games perhaps we should not forget China? This reblog should jog memories. But the real ‘elephant in the room for risk managers is in Washington. Do the nationalists or the globalists hold greater sway in Trump’s government? US shutters Russia’s San Francisco consulate, reduces diplomatic presence in Washington and N.Y. The total area of China’s claims on other countries exceeds the size of modern China itself, but Beijing refuses to budge on its claims. Many are based on unsubstantiated (outside China) and unprecedented “historical precedents” dating back centuries. And while China only has land borders with 14 countries, it is claiming territory from at least 23 individual nations. These include Indonesia, Malaysia and Brunei, maritime territory which is 1000 kilometres from the closest Chinese soil (well outside the internationally recognised 200 kilometre EEZ). Afghan province of Bahdashan (despite treaty of 1963, China still encroaches on Afghan territory).